(CNN) North Korea’s leader, Kim Jong Un, has praised South Korea for its “very impressive” and “sincere” efforts in hosting the North’s high-level delegation during the opening of the Winter Olympics. The comments were made following the delegation’s return to Pyongyang from a three-day visit to the South, a landmark diplomatic trip that appeared to divide international observers, drawing both scrutiny and praise. 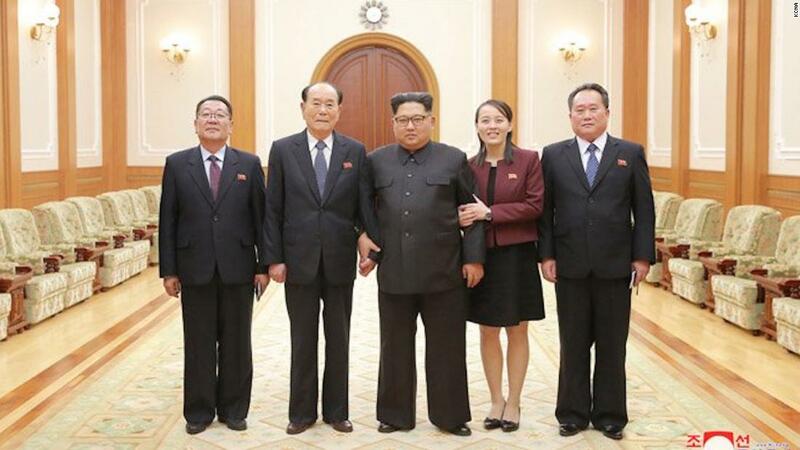 Kim’s remarks were carried on the front page of North Korea’s state newspaper Rodong Sinmun, accompanied by a prominent image showing Kim flanked lovingly by the four most senior ranking members of the delegation, including his smiling sister, Kim Yo Jong, who is shown clenching her brother’s arm. “It is important to continue making good results by further livening up the warm climate of reconciliation and dialogue created by the strong desire and common will of the North and the South with the Winter Olympics as a momentum,” the North Korean leader said. Led by Kim’s younger sister Kim Yo jong, the delegation attended the opening of the Games, before traveling to Seoul to formally meet with South Korean President Moon Jae-In at the Presidential Palace. According to state media, the younger Kim provided a detailed report to her brother on the “activities of the delegation,” including the “movement of the US side and others which she grasped through her activities,” a potential reference to her frosty near encounter with US Vice President Mike Pence at the Opening Ceremony. The apparent thaw in North-South relations has not been reflected in Washington, where senior figures, including Pence, have accused Pyongyang of using the Games for propaganda purposes. 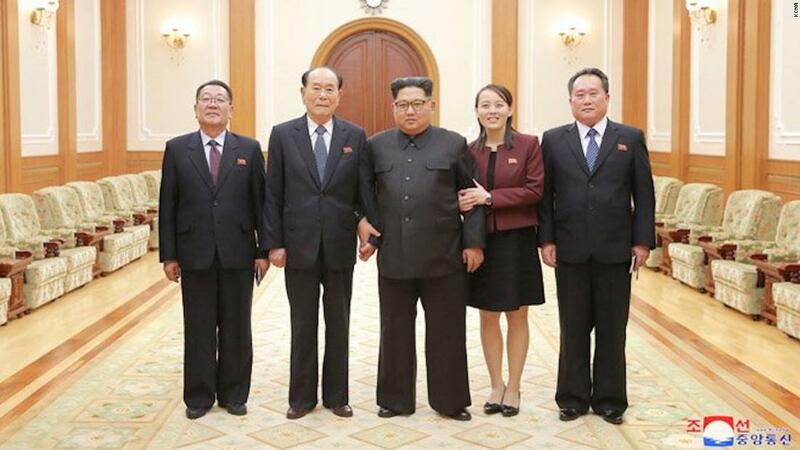 Kim Yo Jong’s trip to across the border provoked significant media attention, with her every movement closely monitored and reported on in obsessive detail, both in South Korea and overseas. Yet despite the widespread interest, little is known about the younger Kim, other than her official title: deputy director of the Propaganda and Agitation Department of the Workers’ Party. Kim is believed to be the youngest of seven Kim dynasty siblings, and one of only three to be born to Kim Yong Un’s mother, Ko Yong Hui. 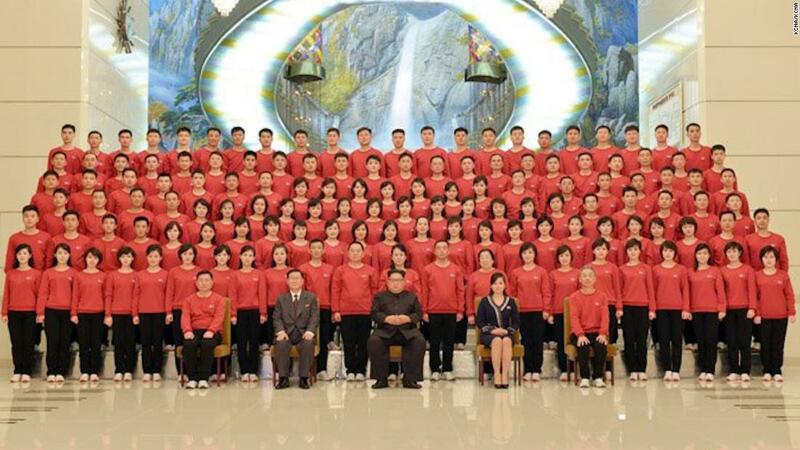 She has long been regarded a close and trusted aide to her brother “and since his accession manages his public events, itineraries and logistical needs, among other tasks,” according to North Korea Leadership Watch. She was promoted last year to the country’s Politburo, the country’s highest decision-making body, as an alternate member. Previous articleAre Trump’s Trade Moves A Victory Or A Defeat For Progressives?